The book does that with style as it introduces readers to eleven wild animals. Each animal picture is displayed on a horizontally split page, enabling children to mix and match and create their own unique animals. There are apparently 121 different creatures that can be made by varying the picture flap combinations. My tusks are sharp and short. And give a great big snort! I trot around quite fast. 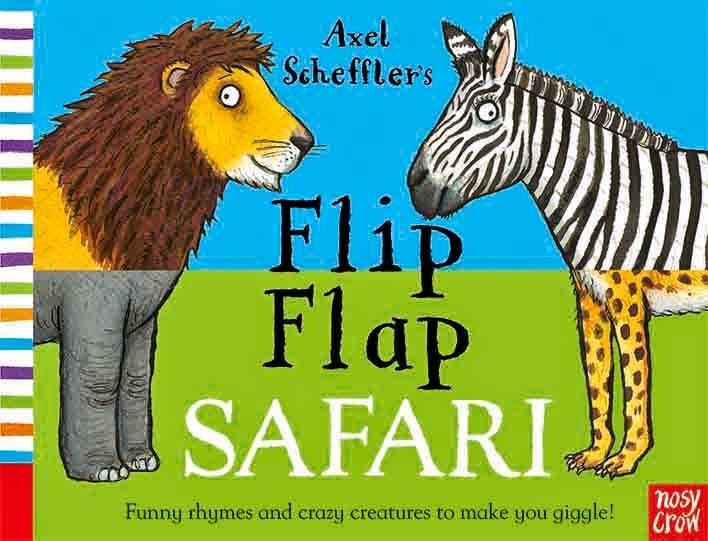 Flip Flap Safari is a bright and colourful book that will keep young readers well-occupied, with or without adult help to read it. It has strong spiral binding encased in a sturdy cover which should make it a long-lasting and much loved book, able to be read over and over again.